Wrangell – St. Elias National Park is home to some of the grandest mountains on the continent, if not the world. 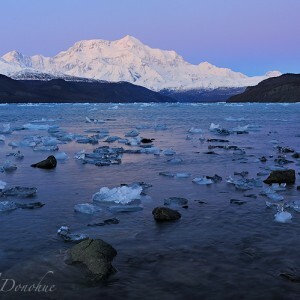 The major mountain ranges found in the park are the Wrangell Mountain Range, the St. Elias Mountain Range, the Chugach Mountains Range and the Alaska Range. The confluence of these 4 mountain ranges create a literal jumble of mountains, “mountains upon mountains”, some say. 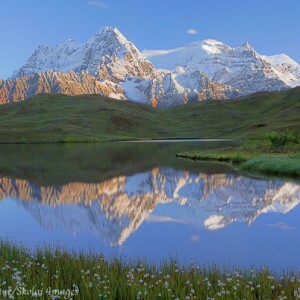 I’ve created photo galleries on the site of the major ranges in the park; the Alaska Range is excluded because, although it’s an enormous, extensive range, and home to Mt. McKinley and Mt. Foraker, the peaks of that range inside Wrangell – St. Elias National Park boundaries are foothills compared to the tallest peaks of the other 3 ranges here. Reflections and fresh snow on the Wrangell Mountains, near Mount Blackburn. An album of photos from the Wrangell Mountains, in the northwest region of Wrangell – St. Elias National Park and Preserve, Alaska. Mt. St. Elias and Icy Bay. A collection of photos from the St. Elias Mountains Range, along the southern and coastal regions of Wrangell – St. Elias National Park and Preserve, Alaska. 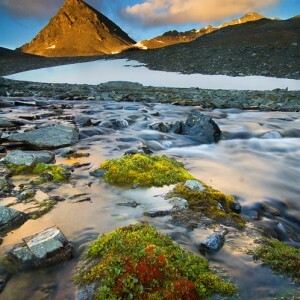 Unnamed peak, stream and Moss Campion near the Bremner River. A collection of photos from the eastern Chugach Mountains Range in the south west region in the eastern Wrangell St. Elias National Park, Alaska.